Experts have little doubt: the Atlantic sardine is in danger of becoming wiped off the planet and its fishing must be suspended in order to save the species. Last week, the International Council for the Exploration of the Sea published a report warning of the critical situation, advising a total paralysis of sardine fishing in Portuguese and Spanish waters. The warning is not new. 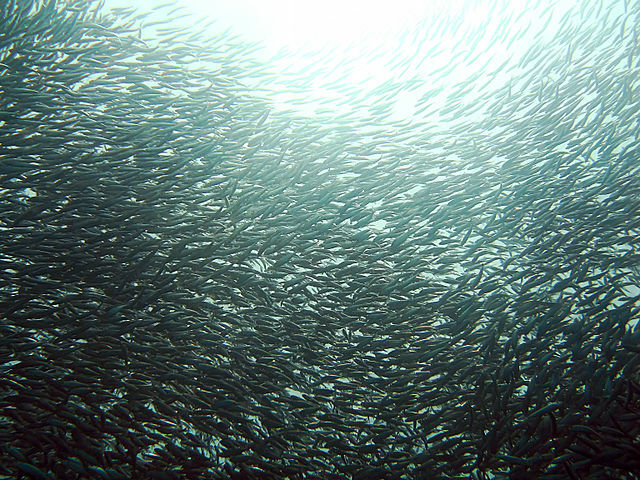 Over many years, numerous scientific organisations have warned that the pace of fish exploitation is putting resources at the edge of their capacities. Year after year, catastrophe appears ever more eminent. According to experts, overfishing today is one of the biggest threats to our planet. It means more fish are caught than are replaced through natural reproduction, triggering devastating consequences to the ocean’s food chains and ecosystems. Unsustainable fishing practices keep driving stocks to the point of collapse. Nowadays, “more than 85% of the world’s fisheries have been pushed to or beyond their biological limits”, says the World Wildlife Fund. This devastating scenario endangers not only the oceans and marine life, but also the entire social and economic fabrics of coastal communities that rely on fishing as a way of life. In coastal regions of central and western Africa, the problem is likely to lead to food shortages and malnutrition within the population. On top of human-induced climate change, worsening the serious problem is an aggressive and greedy fishing industry, whose methods are questioned and whose relentless pursuit of profit is continually placed above the interests of local people and the planet. Temporarily suspending sardine fishing for a few months is only an emergency measure which won’t solve the problem. This issue needs to be planned with long-term, sustainable measures with global cooperation, focusing on sustainable fishing practices that conserve ecosystems and ensure food security. If there is no radical change in ocean exploitation, short-term measures are only postponing, not preventing, the eradication of vital marine species. Burundi's decision to leave the International Criminal Court, is a major blow to justice for the victims who have nowhere else to turn to.